Sunday. A day of rest, relaxation, and family time. I have always enjoyed Sundays, whether they involve visiting the family and enjoying a meal together, or just lazing around at home. On those days when we stay home, I try to make a meal that is a little more involved than I normally would during the week. I say "a little" because I still prefer meals that come together quickly. What can I say, I'm a hungry girl. I came across this recipe in the Betty Crocker Gluten-Free Cooking cookbook. I have never really been a huge fan of Chicken and Dumplings, but something about this recipe appealed to me. I'm glad I decided to try it since it became an instant favorite with Steven (he said it may be the best chicken and dumplings he has ever had! ), and I liked it too. Not to mention, it was pretty easy to put together despite being a little more involved. This was definitely a perfect Sunday dinner. In a 3-quart saucepan, heat broth, chicken, vegetables, salt, and pepper to a boil. In a small bowl, mix 1 cup of milk with the cornstarch with a whisk until smooth. Stir the cornstarch mixture into chicken mixture and heat just to boiling. 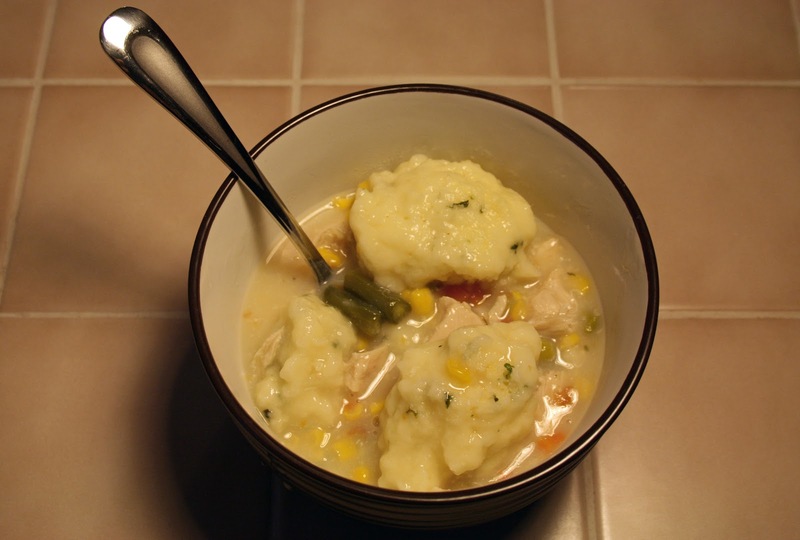 In a small bowl, mix together dumpling ingredients with a fork until blended. 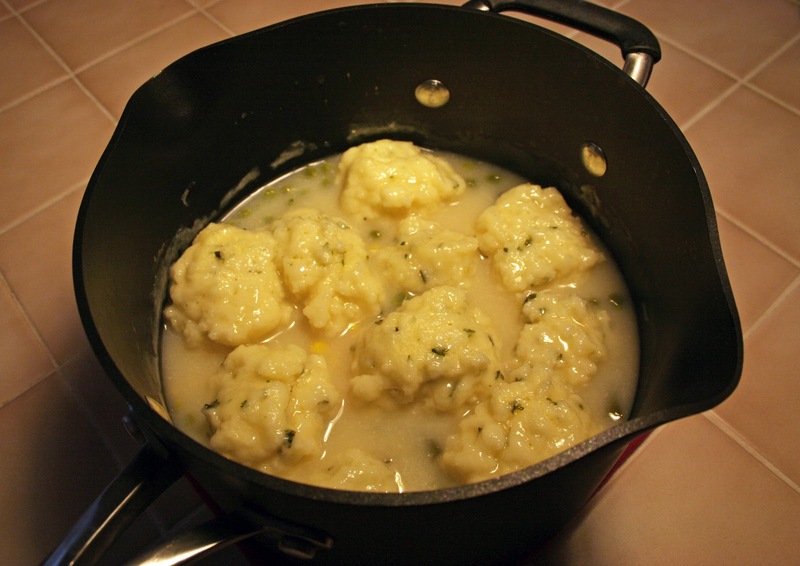 Gently drop dough by 8 rounded spoonfuls (or smaller if you want more dumplings) into boiling chicken mixture. Cook uncovered over low heat for 10 minutes. Cover and cook an additional 15 minutes.